Terry Pratchett's a busy author this year - courtesy of my library I'm looking forward to reading all of the new releases. A couple I'll likely buy as well. I certainly got some interesting looks when this arrived at the library! A few recognised it as tying in to Snuff but certainly not the majority. This was a quick read, well written and a bit of fun between chunkier books. 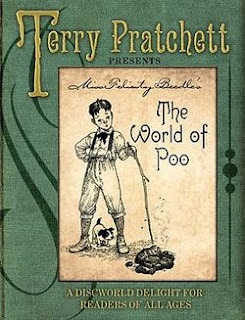 If you've read the Discworld books, particularly the more recent ones, I'd give this a go. And if you happen to have the chance to introduce it to a suitably aged boy, do let me know if they liked it!